Puerto Rican tradition at its best. 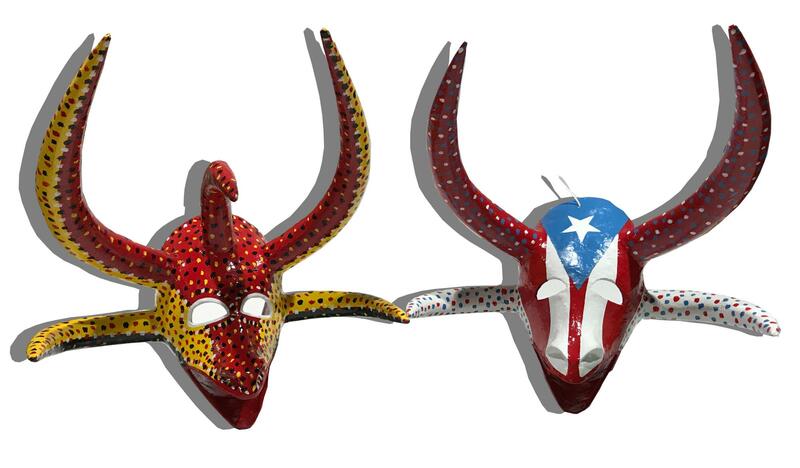 These brightly colored, fantastically whimsical masks adorn the walls of our store at Old San Juan. 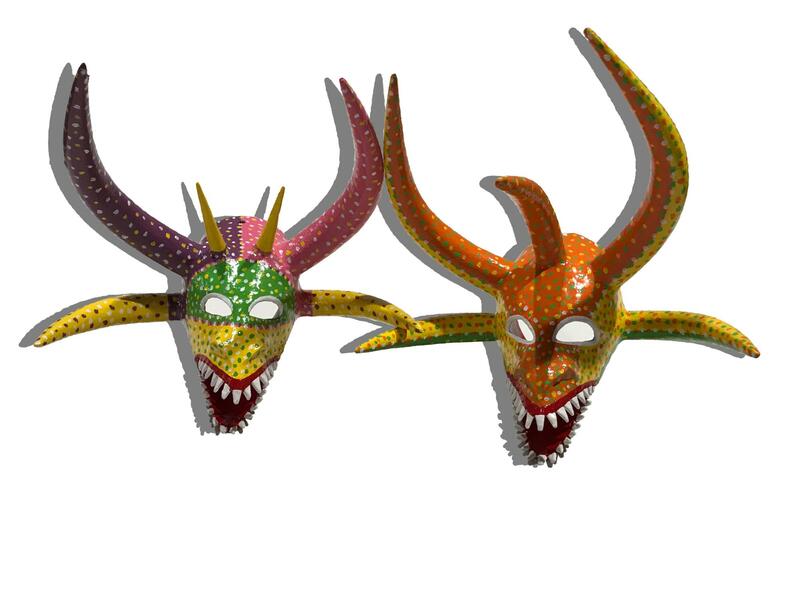 The vejigante is a folkloric figure who's origins trace back to medieval Spain. 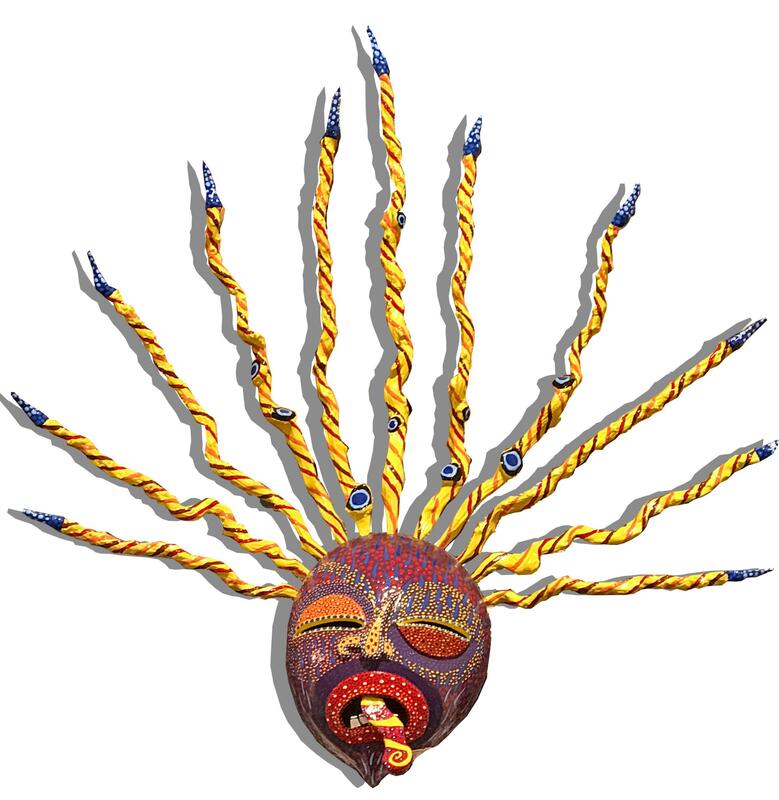 The legend goes that the vejigante represented the infidel Moors who were defeated in a battle led by Saint James. 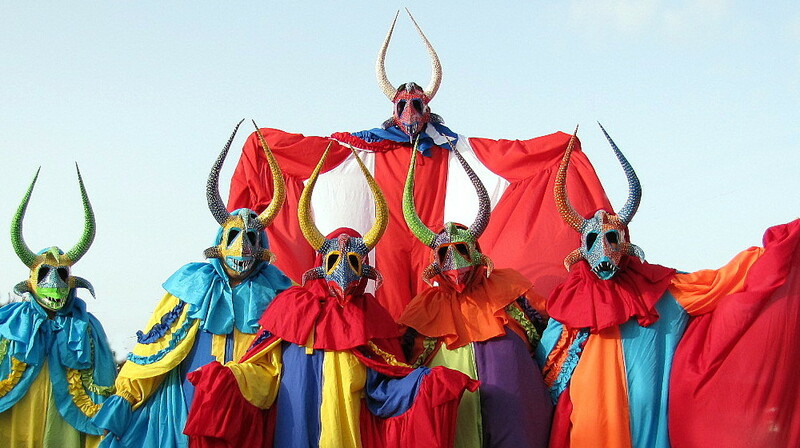 To honor the saint, the people dressed as demons took to the street in an annual procession. 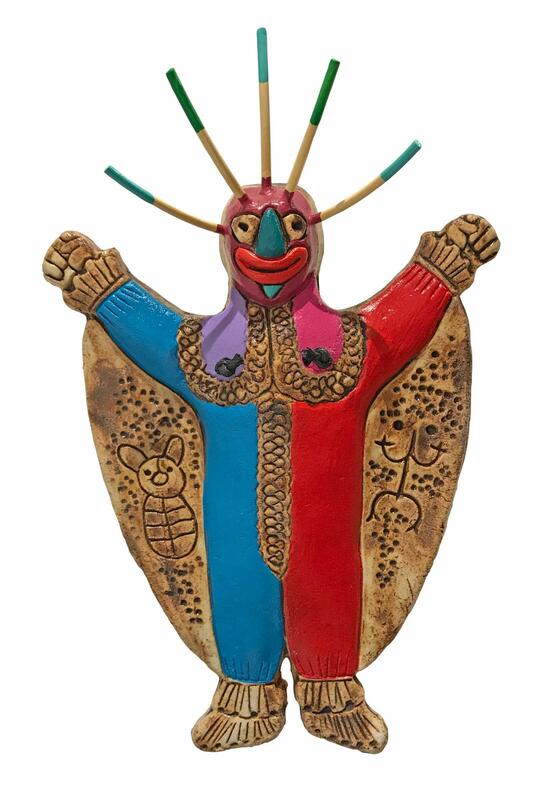 Over time, the vejigante became a kind of folkloric demon, but in Puerto Rico, it took on a new dimension with the introduction of African and native Taíno cultural influence. 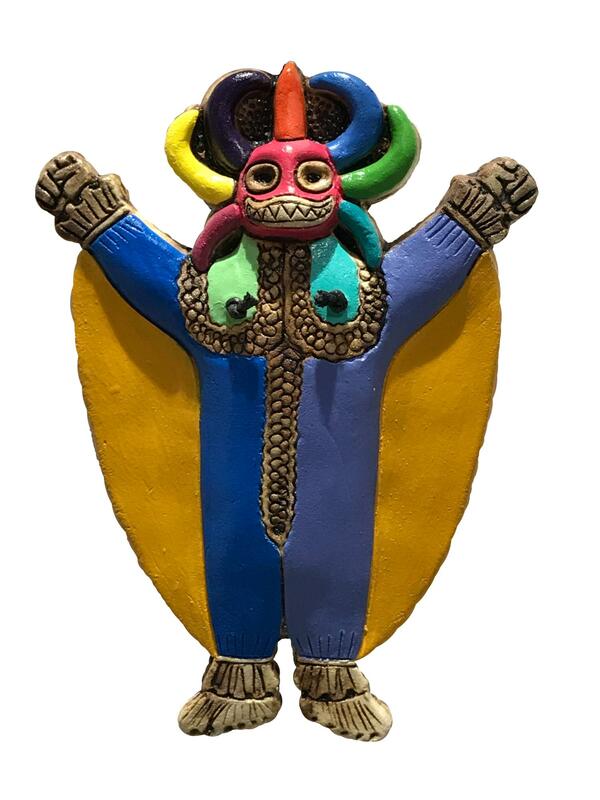 The Africans supplied the drum-heavy music of bomba y plena, while the Taíno contributed native elements to the most important part of the vejigante costume: the mask. 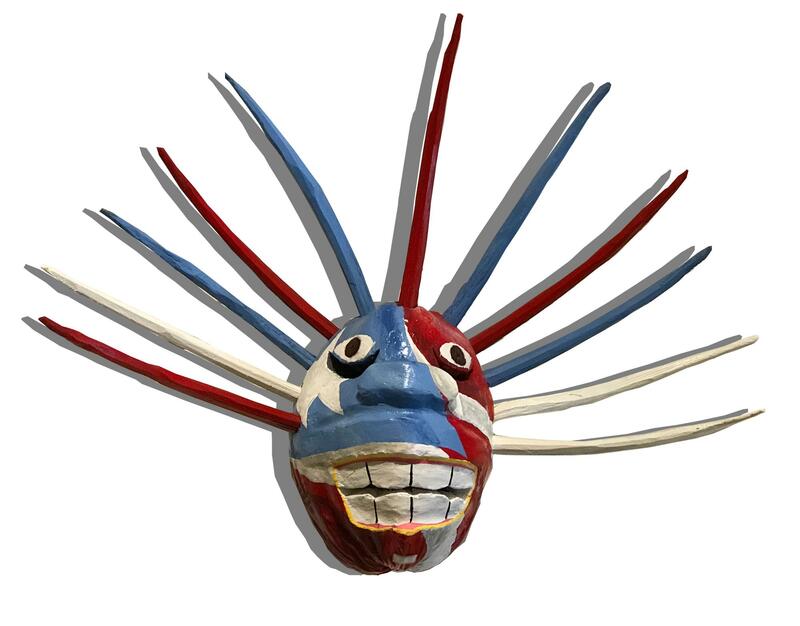 As such, the Puerto Rico vejigante is a cultural expression singular to Puerto Rico. 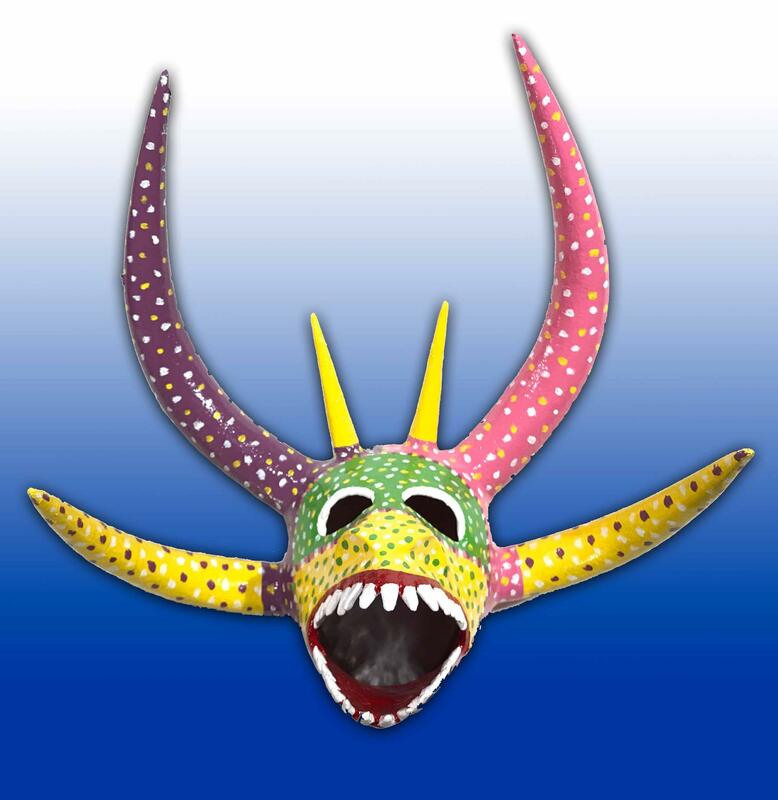 Vejigante is an amalgamation of two Spanish words: vejiga, or cow bladder, and gigante, or giant. The name refers to the vejigas that the characters carry with them. 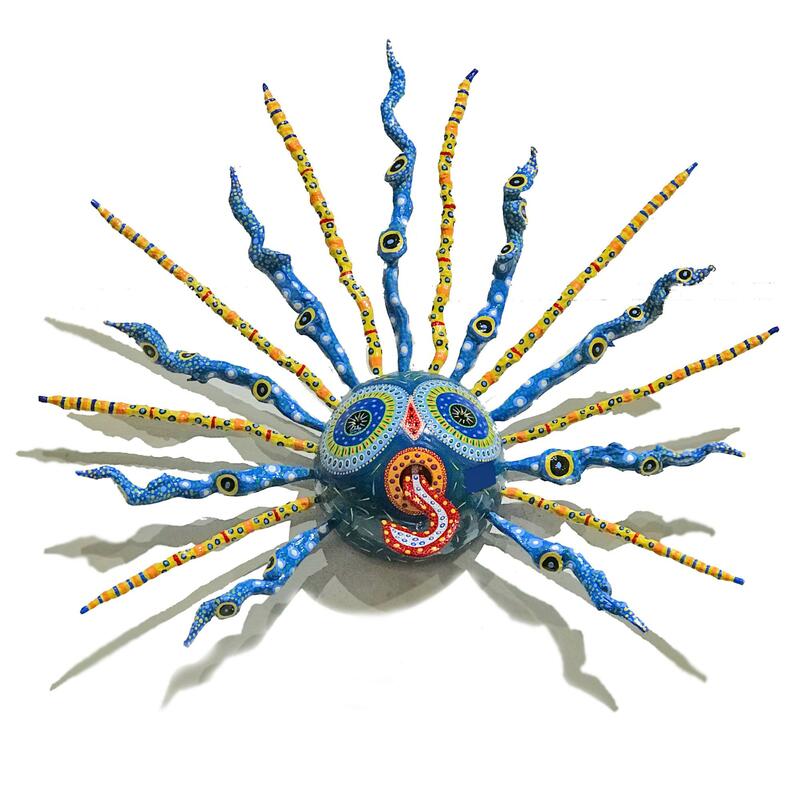 The bladder, which is dried, inflated, filled with seeds and painted, is the trusty weapon of the vejigante. Call US for more information on prices and shipping.